Masdar City, UAE - August 10, 2016 - Today global technology leader Lockheed Martin (NYSE: LMT), the UAE Space Agency and Mubadala launched a space-based workforce training program to develop emerging leaders in the UAE space industry. Generation Space: The Space Fundamentals Training Program for early career professionals across the UAE aerospace industry will run for the next four months and includes training in the UAE and the United States. 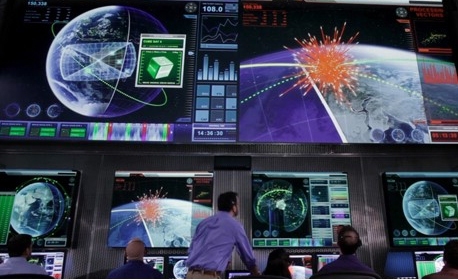 The headquarters for all classroom training, guest lectures, and other major events with leadership from all participating agencies with be at the Lockheed Martin Center for Innovation and Security Solutions in Masdar City, Abu Dhabi. Space controllers put significant effort into planning a spacecraft’s arrival - whether it is to re-enter the Earth’s atmosphere, enter into orbit or land on a planet. Often, these plans can take years to unfold. For aircraft, flight times are much shorter, so delays become even more noticeable. In planning for arrivals, systems using time-based separation between aircraft can potentially halve delays from headwinds. Real-time wind data is used to calculate the optimum safe time between arriving aircraft. Today global technology leader Lockheed Martin (NYSE: LMT), the UAE Space Agency and Mubadala launched a space-based workforce training program to develop emerging leaders in the UAE space industry. The modern world, with its technology and global connectedness, has been shaped in many ways by unfolding advancements in satellite technology. Satellites have enabled smart phones, cable television, ATMs, GPS navigation, climate monitoring and more. Generation Space: The Space Fundamentals Training Program for early career professionals across the UAE aerospace industry will run for the next four months and includes training in the UAE and the United States. For almost 20 years, the Lockheed Martin A2100 satellite platform has served various telecommunications needs, providing global broadband, mobile and military communications. More than 40 satellites using the A2100 platform have been delivered, accumulating more than 500 years of service. The program begins in the UAE with training in “space foundations” and moves into more technical topics, covering more than 200 hours of course work. Participants will also complete mentor-guided research projects. Space serves as the primary domain to drive greater global connectivity that can yield new possibilities, whether a user wants to access data from land, at sea or in the air. 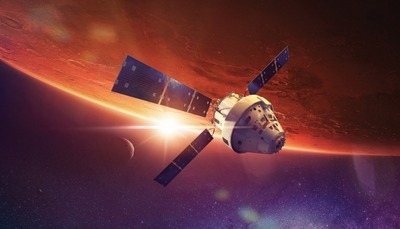 Lockheed Martin is developing a variety of new spacecraft that will explore planets and asteroids in our solar system. These capabilities will help scientists and researchers gain new insights about the solar system, universe, Earth and life origins. “We are excited to be a part of the UAE’s journey into space,” said Nabil Azar, Regional Director of Lockheed Martin’s Space System’s Company. The headquarters for all classroom training, guest lectures, and other major events with leadership from all participating agencies with be at the Lockheed Martin Center for Innovation and Security Solutions in Masdar City, Abu Dhabi. In September, the early career professionals will complete a US space industry immersion program hosted by Lockheed Martin. This segment of the program will include attendance at the OSIRIS-REx launch along with job shadowing, touring Lockheed Martin’s virtual reality facility, and seeing satellite production facilities. Emerging leaders of the space industry have embarked on a journey to learn what it takes to make it to space through an intensive training program that includes classroom training, professional development and mentoring. NASA’s OSIRIS-REx mission will study a near-Earth and potentially hazardous asteroid. The Origins-Spectral Interpretation-Resource Identification-Security-Regolith Explorer, or OSIRIS-REx, spacecraft is scheduled to launch in 2016, rendezvous with asteroid 1999 RQ36, and ultimately bring back samples to Earth. The samples will be the first for a U.S. mission and may hold clues to the origin of the solar system and likely organic molecules that may have seeded life on Earth. 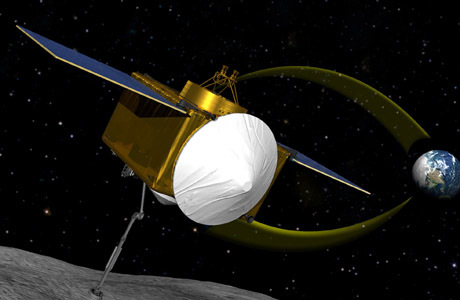 Lockheed Martin will design and build the OSIRIS-REx spacecraft, asteroid sampling system and the sample return capsule from its Space Systems Company facilities near Denver. In addition, the company will operate the spacecraft from its Mission Support Area from launch until the asteroid samples are returned. The asteroid, formerly called 1999 RQ36, is now Bennu. Bennu was chosen as the name of the asteroid as a part of the “Name that Asteroid” contest. The competition was open to students under age 18 from anywhere in the world. • Return and analyze a sample of pristine carbonaceous asteroid regolith in an amount sufficient to study the nature, history, and distribution of its constituent minerals and organic material. • Map the global properties, chemistry, and mineralogy of a primitive carbonaceous asteroid to characterize its geologic and dynamic history and provide context for the returned samples. • Document the texture, morphology, geochemistry, and spectral properties of the regolith at the sampling site in situ at scales down to the submillimeter. • Measure the Yarkovsky effect on a potentially hazardous asteroid and constrain the asteroid properties that contribute to this effect. • Characterize the integrated global properties of a primitive carbonaceous asteroid to allow for direct comparison with ground-based telescopic data of the entire asteroid population. The United Arab Emirates (UAE) has embarked on an historic initiative via setting up a Space Agency that will join others in promoting space exploration and contributing to the g lobal scientific space community. The UAE Space Agency has developed a strategic framework to guide the Agency in executing its mandates dictated by the Decree that was established in July 2014. These areas include developing the space sector, creating space policy and regulation, supporting the development of a generation of engineers and scientists and directing national space programs that will have direct benefits to the UAE’s economy and developing human capital.